It's all fun and games until your jeans don't fit anymore. If you're starting to plan your 2018 season, kick it off with our Parris Island Sprint Tri Training Program beginning 1/1/18! Whether you're a newbie or a seasoned triathlete, we've got you covered. Experience unparalleled coaching powered by Rick Kattouf Coaching, including a personal interactive Training Peaks account with the training plan preloaded, weekly emails, AND weekly Q&A teleconference calls with Coach Kattouf. But wait, there's more! The training plan will include daily swim, bike, run, AND strength training workouts. In addition Coach Kattouf will prescribe the fuel you need before, during, and after your workouts. But wait, there's more! Weekly training groups coached by our incredible Blue Sky coaching staff will meet Saturday mornings (7:00am on swim days, 7:30am on bike/run days). 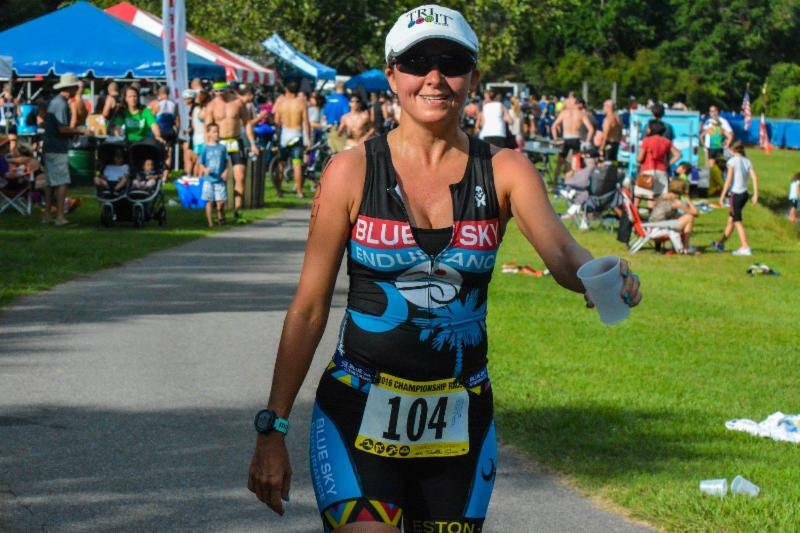 Swimming takes place at the ION club, bike and run takes place at Blue Sky Endurance. But wait,there's more! Custom training plans designed one on one by Triathlon Coach Rick Kattouf are also available for athletes looking for more individualized coaching to meet their specific training needs and goals. Don't miss out on this opportunity, sign up today! So much has happened this past year. In this Blue Sky newsletter we've covered a LOT of topics. A lot of great information is out there at your fingertips to make you a better athlete and I might add a better person.. well maybe. Topics covered include how to set goals, proper ways to train for the swim/bike/run, nutrition, recovery, and what to do in the off-season. In case you have missed any of the newsletters by say deleting them before reading them--totally by accident I know-- you can visit our website to review them all, simply click here for hours of happiness. Ahhh, the New Year is upon us; always an exciting time for setting new goals. It is very easy to get stuck into a routine, glued to old habits (many of which need an overhaul) and feeling like a hamster on a wheel. Let’s make 2018 the year to try something(s) new. It’s time to stretch that comfort zone, embrace the new & uncomfortable, and go for it. Maybe you want to get to the gym and start strength training. Maybe you want to compete in a Duathlon (run-bike-run). Maybe you want to set that road bike aside and purchase a Triathlon bike, get comfortable in those aero bars and take your multisport training and racing to a new level. Whatever the ‘new’ is for you in 2018, let’s grab that lunch pail, roll up those sleeves, put on that hard hat and let’s get to work! What can you do? Try something new! 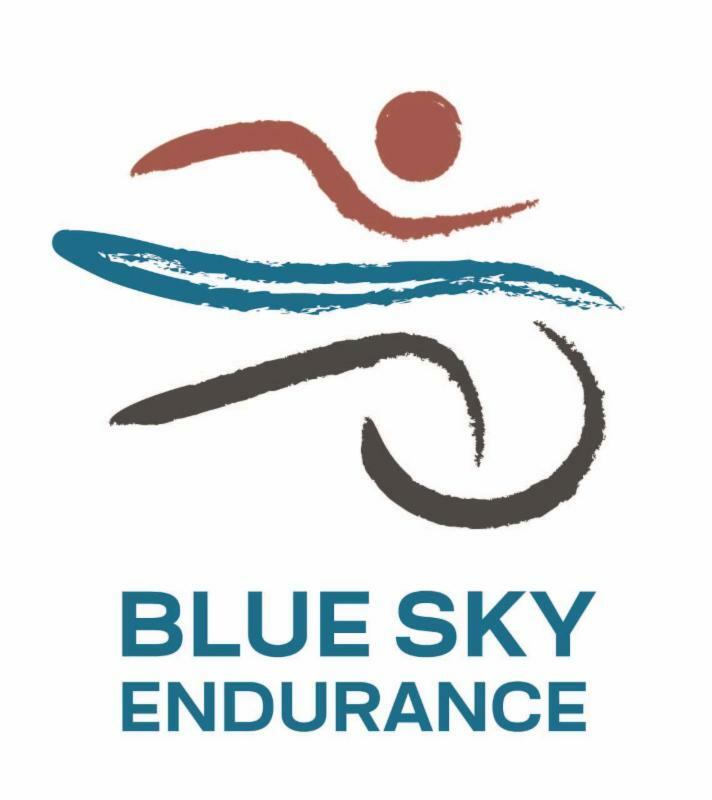 There are several new races in the area, most notably the Swim/Run at the Blue Sky Endurance Fest on April 22nd . It will be a full day of challenging athletic competition, food, and fun. 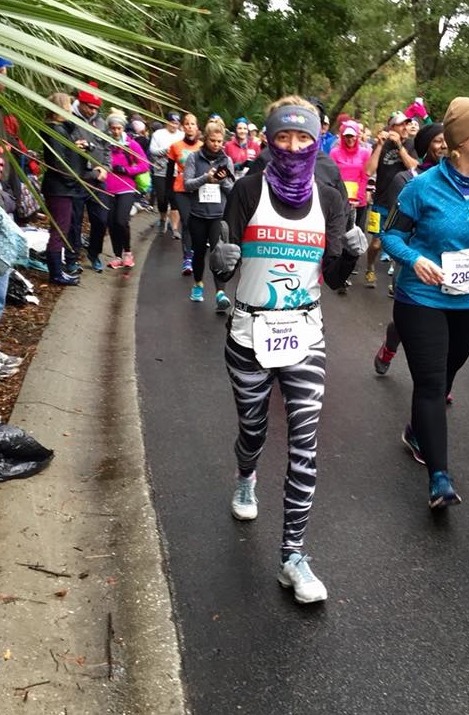 With no other event in the Lowcountry like it, Blue Sky Endurance Fest offers a unique and challenging combination of races. Race Format : Swim, run, repeat (optional). Swim a one-mile loop and directly follow it with a one mile off road running loop. Racers doing the Double Dip will repeat this format twice (Swim-Run-Swim-Run) for a total of 2 miles of swimming and two miles of running. Racers completing the Third Times a Charm will repeat this format three times (Swim-Run-Swim-Run-Swim-Run) for a total of three miles swimming and three miles running. How cool is that?! Time to take the plunge, not the polar plunge, this plunge involves no pucker factor. Try the local Swim//Run! Try a triathlon. Do a duathlon. Stretch your comfort zone! Sign up now! But wait, there's more (sick of this phrase yet?)! Triathlon and Swim/Run not your thang, we have ANOTHER program for you!! 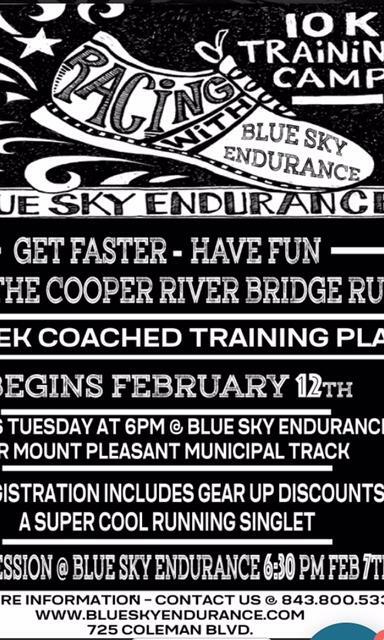 Get faster and have fun training for the Cooper River Bridge Run! 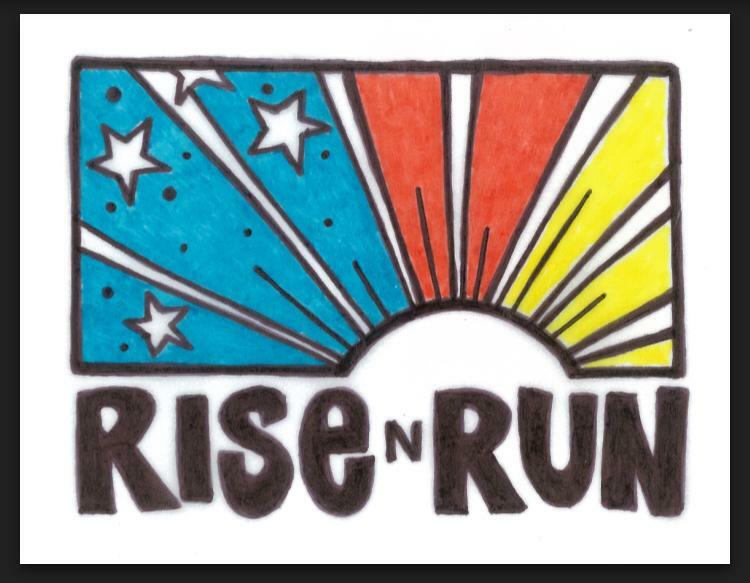 Registration includes in store gear up discounts and a super cool running singlet! You asked and we listened! New for 2018 we are moving our Group Run to Thursday mornings at 6am . We will still leave from Blue Sky for now, but future run locations may vary so be sure to check our Meetup or Facebook Tri Club page for location changes. We will still offer 3 and 5+ mile options and all paces are welcome! Never seen a sunrise before, NOW is your chance to see what all the fuss is about. "Education is important, but swimming is importanter"
Our featured service this month is our Pool! We offer swim stroke analysis with one of our Blue Sky Coaches. 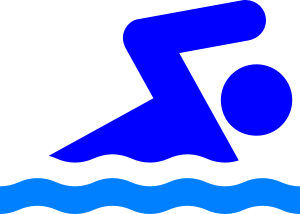 Have your swim stroke video taped and analyzed to give you something to work on to get in ship-shape for the Swim/Run race in April. Our in-house current pool gives you the opportunity to hone your stroke in a private setting with a certified coach. Your session includes an expert analysis of your stroke from above the water, specific stroke correction drills, elite swimmer comparison, and a downloadable copy of the video. We can all benefit from that! Call the store for set up your appointment today! 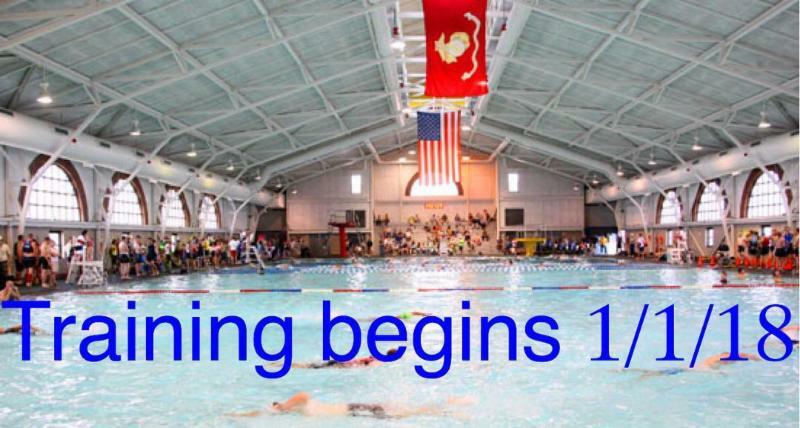 (843) 800-5330 There is no time like the present to start swimming. What did you do last night? Don't remember? No problem, even is you vaguely remember what you did on New Years Eve here is a list of the calories associated with alcohol...any regrets? It's a double take! It's about time our 'you wear it well award' went to the one and only Sandra Estee! She wears our Blue Sky like no other, and only wishes it matched her favorite smashing purple color! (Sandra you'll have to talk to Catherine about changing up our colors:). Thank you for wearing Blue Sky at all of your athletic adventures. You truly embody the "your sky, your limit" motto! CONGRATS!